Part memoir and part travelogue, this book adds its own distinctive voice to the chorus of writers singing the praises of modern Greek life. This voice belongs to a tall, blond American woman, a professor of aerospace engineering at the University of California, who met her Greek-born and raised husband-to-be while still a graduate student. This book follows her "journey" toward understanding Greece and its people, and more importantly, how she "became" a Greek woman... at least in spirit. It is a story of her coming to terms with her role as wife, mother, and observer in modern day Greece. The author uses her precise eye for detail and her crystalline memory in the service of her goal. She listens carefully to her husband's family stories to make them her own. She watches her lovable mother-in-law Elpida, to learn how she cooks and how she lives. 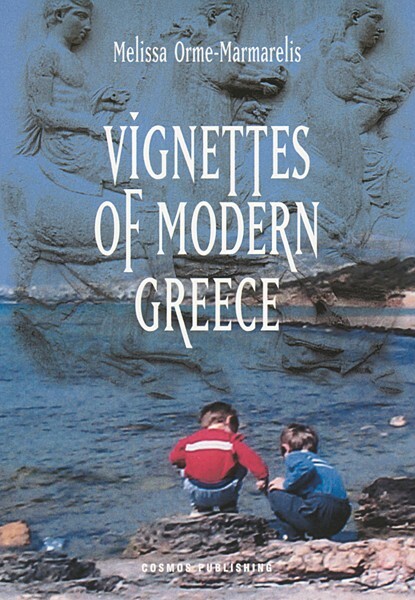 She observes the differences in customs between Americans and Greeks and vividly illustrates them in amusing vignettes. You will read this book with all of your senses. Its freshness of style allows you to taste, smell, feel, hear and see the tales of family, friends, lore and nature in today's Greece.